Arista joined the parade toward high-speed Ethernet with new switches capable of supporting 400G speeds and aimed at hyperscale cloud and data-center networks. The Arista 7060X4 Series platforms are based on the Broadcom 12.8Tbps Tomahawk 3 silicon and feature 32 400G ports. Each 400G port can be split into four 100G ports for a total of 128 100G ports in a 1U chassis. Arista also enhanced its EOS operating system to better support traffic management, load balancing, buffering and routing for the high-speed boxes. Over time, Ethernet speed transitions have been the primary driver for improving both the throughput and price-performance of data-center networks. 400G Ethernet is the next major transition on this journey, Andreas Bechtolsheim, Arista’s chief development officer, wrote in a blog about the announcement. “While 100G Ethernet is still ramping up rapidly this year and next, it is projected that by the end of 2021 400G Ethernet will represent the majority of Ethernet bandwidth shipped,” he wrote. But some analysts were quick to temper some of the 400G hype. Bechtolsheim said there is plenty of demand for more bandwidth in cloud data centers, driven by faster CPUs, artificial intelligence, machine learning, distributed flash storage and serverless compute. Arista cited Dell’Oro Market Research that forecasts 400G will grow noticeably starting in 2020. Users will have two connectivity options with the 7060X4 Series: The 7060PX4-32 model supports 32 ports of 0ctal small-format pluggable (OSFP) connectivity. OSFP defines 400G fiber-optic interconnects. The 7060DCX-32 has 32 ports of quad small-form-factor pluggable double-density (QSFP-DD) and is also a 400G optical transceiver. Which version customers deploy depends on applications, system availability and needs Arista said. Bechtolsheim also said that over the next year, Arista will upgrade the majority of its switching platforms to support 400G. The 7060PX4-32 is available in Q4, and the 7060DX4-32 will be available in Q1 2019. Pricing starts at under $1,800 per port of 400G. The Arista announcement comes on the heels of some high-profile high-speed Ethernet demos and announcements over the past few months. For example last month’s European Conference on Optical Communication in Rome saw several vendors, including Arista, Cisco and Huawei, showing off gear that will power large-enterprise and hyperscale networks. The key demos came from the Ethernet Alliance and the 100G Lambda multi-source agreement (MSA) group, which is pushing technology advances to support 400G Ethernet, including new pulse-amplitude modulation or PAM4 for electrical, optical-interface and high-bandwidth switching silicon. According to the Ethernet Alliance, its demo featured one of the widest lineups of 400G optics seen to date, featuring state-of-the-art PAM4 optical gear and electronics. Among key elements in the group’s display were routers, switches, active optical cables (AOCs) and direct attach cables (DACs), interconnects and test and measurement equipment. The European demos followed a successful high-speed Ethernet plugfest held in August at the University of New Hampshire InterOperability Laboratory (UNH-IOL) which tested all manner of 400G, 100G, 50G, 25G, NRZ and PAM4-based interfaces and signaling gear. The Ethernet Alliance event included Arista, Cisco, Juniper, Intel among others. 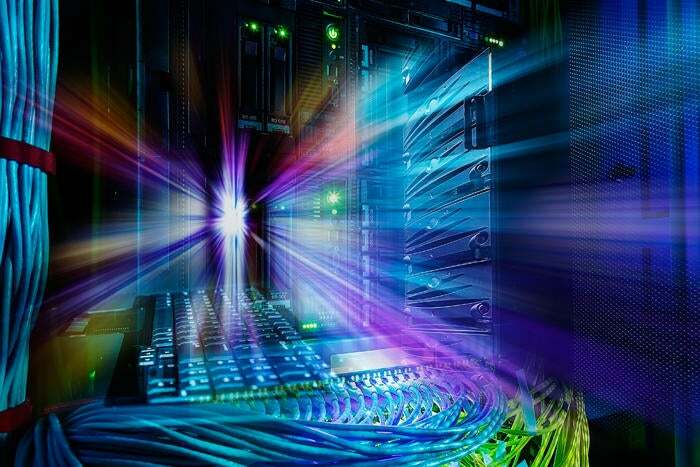 This story, "Arista joins Juniper, Cisco in 400G Ethernet race" was originally published by Network World.